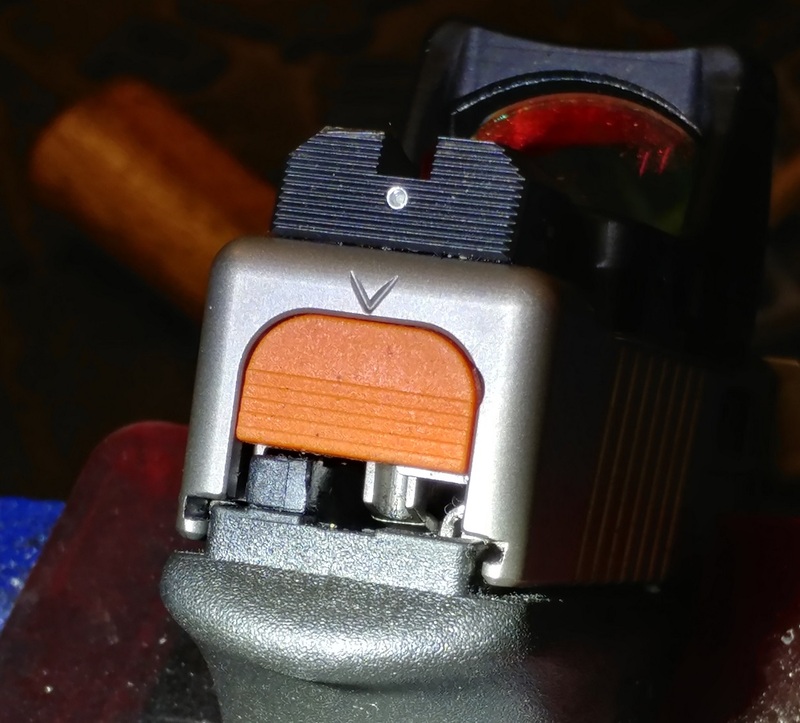 Trigger Safety checks (Must be done upon installation, and periodically to check for worn safety parts): These safety checks are applicable to any Glock® trigger, stock or aftermarket, and should be performed regularly to ensure all safeties are functional. Make certain weapon is unloaded and no ammo is present for safety checks. 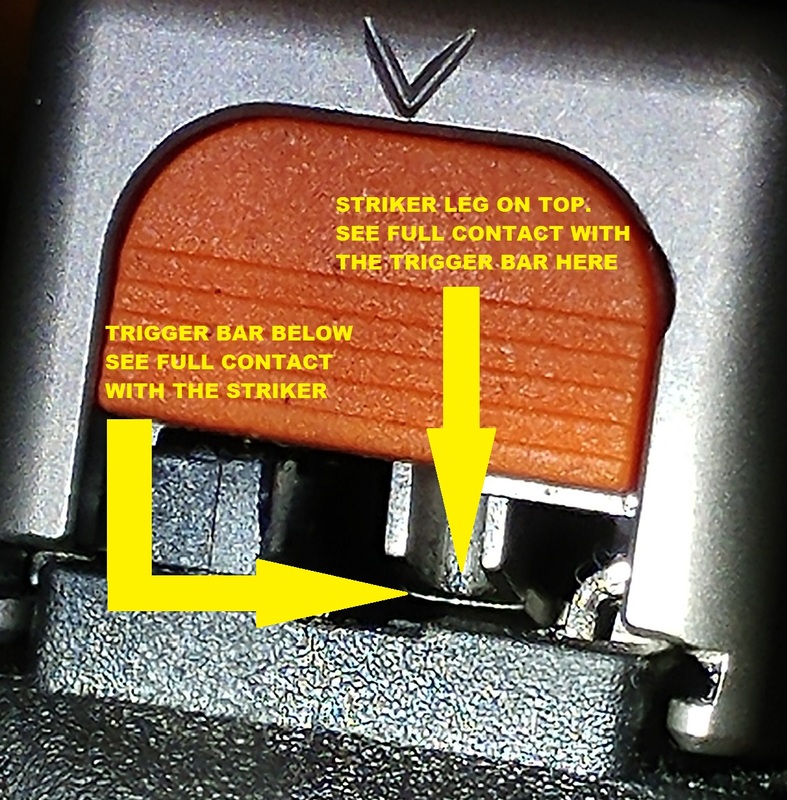 Many aftermarket triggers can fail to be firing pin safe but do offer some level of compromised drop safety. With the slide assembled but back plate removed and striker not engaged with the trigger bar, pull the trigger forward so that it is resting on the trigger safety and ensure that the firing pin is blocked and cannot move forward. This is best done using a Glock armorer’s tool and pressing the rear of the firing pin firmly with the armorer’s tool to ensure the firing pin cannot slip past. (If you wish to obtain an Armorer's Tool, please contact us). If the firing pin can slip past the safety plunger, your firing pin safety is not functional. Ensure your trigger is repaired before use. Finally pull the trigger and ensure the firing pin moves freely past the safety plunger. If firing pin is felt to be impacting or slipping by the safety plunger, this can sometimes result in light primer strikes and should be repaired or over travel adjusted before duty or self-defense use. The easiest way to check for safety plunger interference is to perform the “rattle test” and listen for striker movement. Any worn parts, or worn appearing parts, should be replaced immediately. RELEASE OF LIABILITY - In no event shall Suarez International be liable for any direct, indirect, punitive, incidental, special consequential damages, injury, or death whatsoever, arising out of the sale, resale, or connected with the use, misuse, or installation of its products and components. Any oral or other written statement by Suarez International employees or representatives DO NOT CONSTITUTE AN IMPLIED REPRESENTATION AND/OR LIABILITY OF ANY KIND, and shall not be relied upon by purchaser. The purchaser/user accepts all risk.